David Moses Bridges is a traditional artist, birch bark canoe maker, educator, community activist, and co-founder of Mulankeyutmonen Nkihtakmikon (We Take Care of the Homeland), a nonprofit organization committed to protecting and preserving Wabanaki original territories. 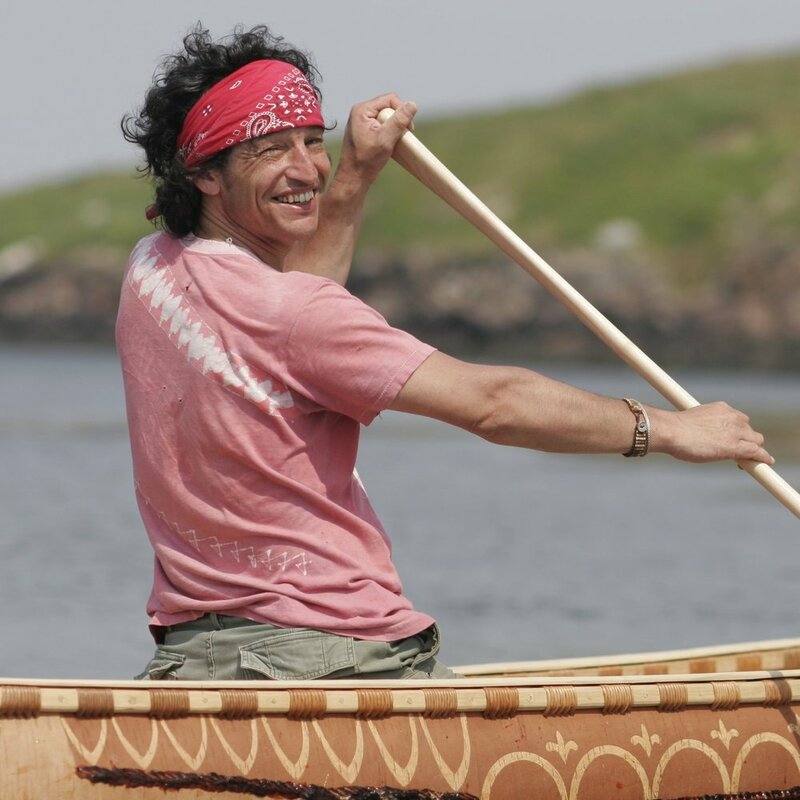 David's birch bark skin canoes are built to match the traditional hull forms developed by his people, the Passamaquoddy, Penobscot and Malecite. While construction each canoe, he uses traditional methods of fastening and joining which is a technique where no nails, screws or other metal fasteners are used. David was taught traditional basketry techniques from his grandmother and makes basketry tools for the Wabanaki ash splint basketweavers in his region.